Have you ever wanted to do something for yourself so much and yet come up with many obstacles that keep you from that very thing? I have experienced this myself. Obstacles are resistance. Resistance is energetic fear, blocking us from moving forward. I used to name it. Give a list of all the things getting in the way. All my obstacles: Time, Money, geography, my family beliefs, are common. I’ve had prospects and even some clients that are hiders. Someone who doesn’t show up for an appointment or respond to texts or emails. Either way the resistance, the fear, is going to keep you stuck. Stalled in the very thing you were trying to wrench free from. Time, Money, Geography for me were also ways of saying “I don’t value myself enough to spend the time, the money or drive for X. Most of us have resistance at one time or another. It’s change. And change can be scary. It is different. It is stretching our comfort. Resistance can be SUPER obvious. *Do you ever cancel or not show up at the last minute for appointments or with family & friends? *Do you believe life has to be hard? *Do you struggle to say no? *Do you struggle with comparing yourself/your career/your family to others and then get anxious or depressed or upset that some how you aren’t measuring up? *Do you get lost in “other activities” instead of the ones that will bring about the very thing you desire most in your life? These are just a few to get you started. Truth is there are so many obstacles and resistances out there, it is a wonder any of us push forward. So how? How do you move forward when you are engaged in resistance? First above all else: BE WILLING! Being willing to move past your resistance brings about more ease than fighting with yourself. Next become aware: are of what you are feeling, sensing, thinking. You cannot change what you aren’t aware of. And face your resistance. Call it out. Name it. And then ask WHY? Ask: How is this keeping me comfortable? What would happen if I faced this fear anyway? Is it keeping me comfortable? Am I ready to let this go so I can move forward? When you become aware of your own energy: physically, mentally, emotionally and spiritually on a consistent basis, awareness becomes easier. How do I feel? Physically, Emotionally, Mentally, Spiritually. Take time to scan your body from the top of your head and the outside as well as the inside of your body…all the way down through your throat, your belly, to your feet and toes. And note, how you feel at wake up. Next check in, did anything change? What changed? What did you experience before the change? Another way to get to awareness is through a mindfulness practice. 1 minute, 5 minutes, 30 minutes…any of them will bring about clarity. Whether you are walking with intention, sitting in meditation, focused on the feel of a key in your hand, etc. And after creating awareness, what would happen if instead of blocking the thing you want, you faced the fear, faced the obstacles. 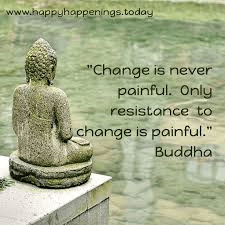 I know this may sound crazy…how about embrace the change. Embrace the resistance. Give it a hug. I know when I do this, it feels vulnerable-exposed-sometimes raw. Yet I also know from my own experience, the thing that is the obstacle becomes smaller. Weird I know. With potential clients or clients – to -be, I know this means they are tapping in to something they are ready to move past. Whether they work with me or it feels more aligned for their needs for me to refer them, ultimately it is about supporting them through this moment, help them gain awareness and inner wisdom around this so they can claim this THING they want so badly. And yes, they do hide from me at times too. Each is different so I cannot tell you exactly what I do each time. I listen to my intuition. I get frustrated because I want them to achieve that THING (whether it is with me or not) and see them blocking themselves. And I reach out so they know, I’m here when they are ready to step in and say yes to releasing the block. Sometimes getting caught up in our stuff, we need the support of someone else to see things more clearly and work it through with us. I know that is why I work with someone. And I know that is what my clients get from me. Resistance and Obstacles get a bad rap, yet I know for me and with all my clients, R&O showing up means you are getting stirred up and that sh#t is ready to move out. How do you deal with resistance & obstacles? PS. If this is something you want to speak about further, my invitation to you is to invite me into a conversation with you. This entry was posted in blog and tagged acceptance, belief, blocks, choice, clearing, complain, confidence, emotions, energy, fears, feelings, flow, happiness, healing, hope, insecurity, joy, love, meditate, obstacles, passion, peace, resistance, self-doubt, self-esteem, selfcare, selflove, spiritual, vibes, vibration. Bookmark the permalink.